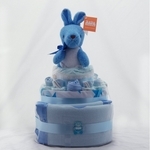 Perth Baby Gifts offers Nappy Cakes, Baby Hampers, Clothing, Soft Toys and Teddy Bears as gifts or presents for newborn babies or baby showers. DELIVERY ~ YES WE DELIVER! ~ MONDAY TO SATURDAY ~ ORDER BY 12.00 PM FOR SAME DAY DELIVERY WITHIN PERTH METRO AREA (UP TO 35 KMS FROM CBD). DELIVERIES OVER 35 KMS WILL BE SENT VIA AUSTRALIA POST ~ PLEASE ALLOW 1++ DAYS FOR COUNTRY AND INTERSTATE DESTINATIONS. We have a lovely range of gifts for both baby boys and baby girls as well as some neutral/unisex gifts for baby showers if you're not sure of baby's gender at the moment. 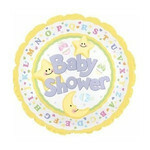 We also have Nappy Cakes, baby clothing bouquets, teddy bears, clothing sets, balloons and hampers for twins. Located in Victoria Park WA, we deliver to all Perth suburbs and can organise delivery to country WA and interstate. We deliver to all Perth Hospitals including St John of God: Subiaco, Midland, Murdoch, Mount Lawley, Joondalup, King Edward, Royal Perth, Hollywood, Attadale, Sir Charles Gairdner, Bentley, The Mount, Armadale-Kelmscott, Galliers, Bethesda, Osborne Park, Glengarry and Fiona Stanley Hospitals.